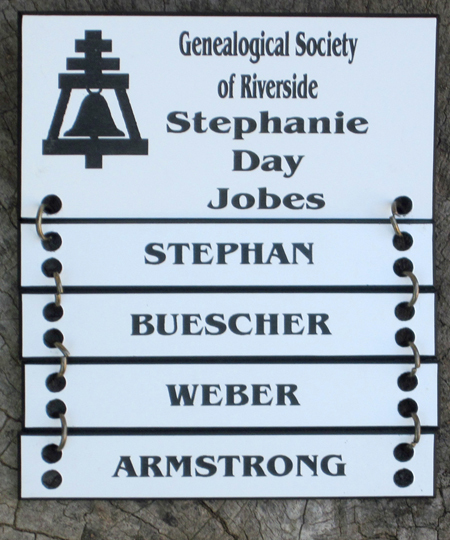 Identify yourself and the surnames you are researching with these custom name badges. The main badge contains the GSOR logo and name, plus your name, appearing on up to three lines. On the example below, the maiden name was used on the second line. Each additional surname is suspended below in narrower hanging bars. To order your own GSOR custom badge, download, print, and fill out the application form. Send the form and check by mail, or bring it with you to the next meeting. Our thanks to Awards and Specialties in Riverside for the great job they have done creating our badges! If you have not yet registered for the Ralphs Community Contribution Program, you must first create an online Ralphs account. After creating the account, you will be instructed to check for an email message to confirm your new account. Then complete the above steps. Please use iGive when you shop at your favorite online store. Participating members have raised money for GSOR just by using iGive when they shopped! Click the link to the right to take you to the iGive portal. In addition to using the iGive portal to search for a store, with the iGive button installed, and using Google to search for a purchase, the iGive icon (pictured at left) will be displayed by each store that supports iGive. Using the button will save you from having to begin your shopping at the iGive portal. Using AmazonSmile is an easy way to donate a portion of your Amazon purchase to GSOR.